Postcards are among the real estate world’s best-beloved marketing tools, and it’s easy to see why. These high-impact visual attention-grabbers let agents strike up conversations that personalize advertising and make it less obtrusive. To keep your marketing dialogue heading in the right direction, however, you’ll need to plan an effective, goal-oriented postcard marketing campaign. What makes an outreach push worthwhile? How should you pick your postcard advertising objectives? It all depends on the agent and market in question, but that doesn’t mean you have to gamble on random chance. Follow these goal-setting tips to empower your next campaign’s success. While it’s fine to start by declaring that you want to increase your sales or contact more clients, you need to back those goals up with actual numbers. This is the only way to keep yourself honest and evaluate your campaign’s performance critically. Defining your goals around objective standards is also essential if you work with others. If your marketing team members or partner agents have clear, numerical targets, such as increasing weekly callbacks by ten or sustaining a specific number of monthly website visitors, they’ll most likely demonstrate enhanced focus. Being specific may prove critical to laying the groundwork for a successful campaign. Vague objectives only make life harder for everyone involved. Always know who you’re targeting with postcards. For instance, if you’re trying to open up a new farm area by making inroads into a competitor’s territory, you should do demographic research first. If you’re selling homes in a luxury development, then you might not want to reach out to quite as many first-time buyers. Real estate postcards are great because they let you initiate contact, but don’t make the mistake of thinking it’s a one-way discussion. The most rewarding interactions occur when agents take the time to understand the people they’re speaking with beforehand. Whether this means using census data or chatting with neighborhood locals and recent buyers to get a feel for their concerns, increasing your knowledge does wonders. Not every campaign succeeds with every potential client, but that shouldn’t surprise you. Everyone is different, so their responses to the same marketing materials will be accordingly diverse. It’s your responsibility to adjust the way you address people. Once you’ve completed your demographic research, experiment with reframing your message in various ways to accommodate distinct audiences. For example, a well-to-do couple might appreciate a postcard with a funny image or popular meme more than a nervous first-time homebuyer would. Even though postcard marketing often serves as an introduction, focusing on who you are shouldn’t be the primary goal. Your personality will come through in your choice of language, so concentrate on selling the dreams that you know you can help clients attain. Consumers lead busy, hectic lives, so do them a favor by making it easier to evaluate your work. For instance, instead of writing a generic blurb that reveals how many homes you’ve sold, differentiate your services: Mention that you’ve made moving fun for dozens of families or share how you’ve already connected with potential buyers who might be interested in a given area. Including a subtle value proposition is far more convincing than merely boasting about your stats. 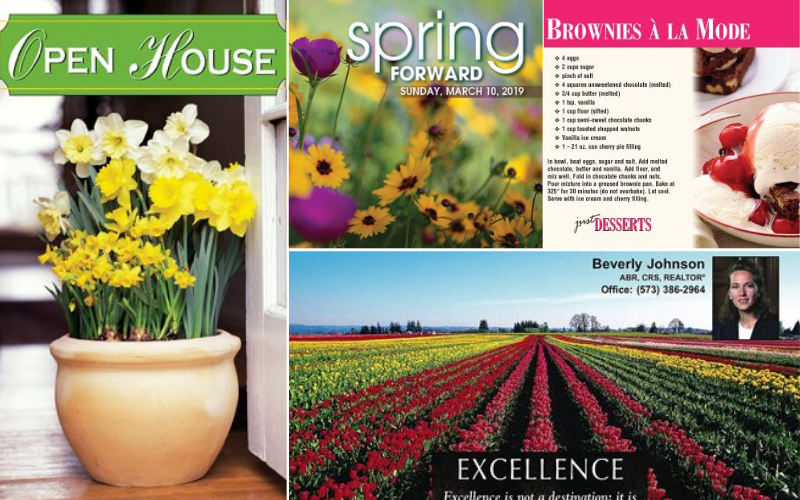 Since postcards are easy to customize, take this opportunity to break your audience into subgroups and segments. Target each with different variations to hone your outreach practices. Only once you’ve played the field for a while should you finalize your tactics and start marketing en masse. In some cases, maintaining separate campaigns for different areas and populations is the best strategy for minimizing outreach expenditures. For instance, bilingual agents might promote themselves in varied ways to accommodate unique cultural nuances. Finally, remember that people have plenty of other things to look at besides your marketing materials. No matter what your personal tastes are, your postcard’s general aesthetic must appeal to a broad audience and look good in a variety of settings. Do some opposition research, and then partner with a design team that can help you create something fresh enough to land crucial first impressions. Real estate postcard campaigns enjoy enhanced success when agents take advantage of well-oiled marketing machines. Plant the seeds that help you farm more effectively by discussing your campaign goals with a Reamark specialist.